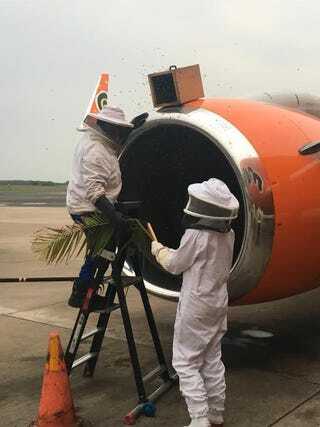 A swarm of 20,000 bees began building a nest inside the engine of a Mango Airlines jet in South Africa, and had to be removed by bee keepers before the flight could take off. I wonder what would have happened if they had simply turned on the engine. Bee experts in South Africa safely remove a swarm of about 25,000, an airline says.